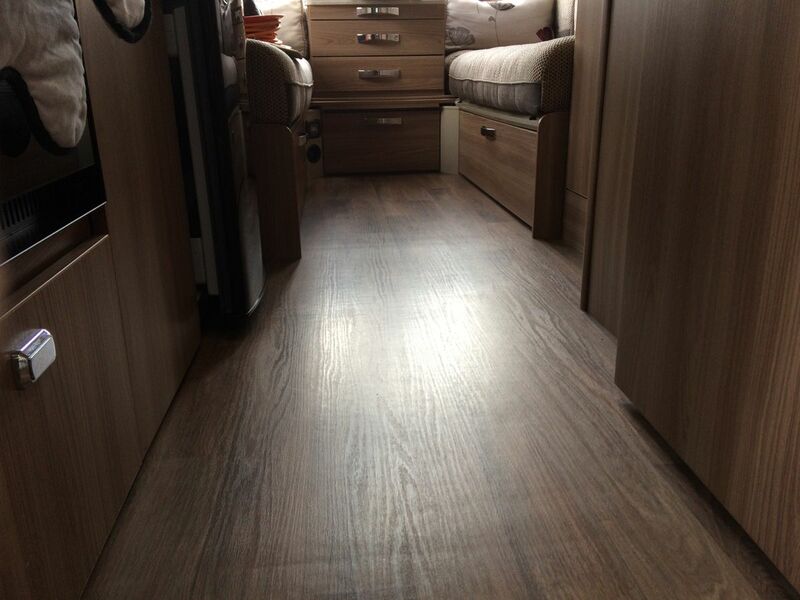 Caravan floors, over time, or in high traffic areas can become ‘spongy’ and show signs of delamination. Delamination is where the layers of the floor become unstuck and feel spongy under foot. Floor delimitation can be caused by a number of things so it will require investigation first. Please also remember that the existing floor covering may need to be removed before the work can be done and depending on how the floor covering has been attached it my require replacing with new. Including: Determine if the existing floor covering is to be saved or replaced. Arrange for quote for new if required. Including: Measure the area affected and determine how much floor area is going to be repaired. Work quoted. Including: Area to be repaired marked out and repaired. Including: Re-cover the floor with existing (if it was saveable) or new flooring. New floor cover fitting may be sub contracted to a carpet fitter. At the end of the work you should be left with a floor that no longer bounces under foot and once the floor cover is back down it will look as good as it did before. Please remember that is a repair not a replacement so continued use as before (i.e. walking, standing or children jumping) may cause the floor to delaminate once again. This unfortunately is a continual problem with caravan floors.